Few things cause as much frustration and hard feelings in the Republican Party as voter registration, and the recent confusion in regards to whether registration forms for the Affordable Care Act will comply to the National Voter Registration Act — which allows potential voters to register to vote when applying for social services — have many in the GOP in a stir. It may seem, however, that the White House has caved to the pressure. In doing so, the Obama administration may be currently in violation of the law. Recently, the House passed a continuing resolution that would continue funding the federal government while the budget is being negotiated on the basis that discretionary funding for the ACA be cut. While mandatory funding to the Centers for Medicare and Medicaid Services — ACA’s managing agency — would make full defunding of ACA impossible, the partial defunding would seriously curtail the program’s ability to operate, making future repeal efforts easier. The Democrat-controlled Senate has since stripped the ACA defunding provision from the continuing resolution, setting up a showdown over ACA when negotiations to expand the nation’s debt cap begin in October. Sensitive to the implications the registration question may play in the Republicans’ refusal of ACA, the Centers for Medicaid and Medicare Services told MSNBC that applicants, on their exchange applications, will be told, “If you want to register to vote, you can complete a voter registration form at http://www.usa.gov,” in lieu of a voter registration form. USA.gov is the federal government’s general portal page; it does not have registration information on its home page and buyers will have to do a search or navigate through three webpages before reaching the voter registration page. This is reflective of the wavering on the issue the administration has undertaken. In August, Demos and Project Vote released a report stating that the administration would not be providing voter registration services. Instead, HHS suggested that it would simply provide a direct link to the federal voter registration mail-in form. On Wednesday, a senior White House official reported that previous reports that the government was backing out of implementation of the National Voter Registration Act with ACA were wrong and a voter registration form would be included in the ACA application. Boustany argued that pro-Democratic “navigators” — non-health insurer-related individuals and organizations charged to help enrollees get information about and provide assistance toward completing their ACA applications — could convince applicants to register Democrat. In addition, Boustany argued that the Paperwork Reduction Act requires that federal agencies only gather the information needed to achieve the task at hand. “While the health care law requires that government agencies collect vast information about Americans’ personal lives, it does not give your department an interest in whether individual Americans choose to vote,” wrote Boustany. Initially, the White House disregarded such criticism. As the voter registration question is mandated by law, not asking it actually presented a greater challenge to the administration than just keeping it. “Checking off whether or not you want to register to vote goes back to a 1993 law regarding Medicaid, which maybe Republicans opposed,” said White House press secretary Jay Carney in March. “This predates the Affordable Care Act. Since then, however, the realities of congressional politics have set in. Since the implementation of the Patient Protection and Affordable Care Act in 2010, the Republican-controlled House has attempted to repeal the bill 41 times, which — along with the USA PATRIOT Act — makes ACA the most challenged law in recent American history. The Republicans’ challenge to ACA centers around business interests — on a fundamental level, Republicans see ACA as a tax increase and as an unnecessary burden on the nation’s businesses — despite the fact that the bill was drafted to address the growing population of uninsured adults and children in the nation. The possibility that adding voter registration to the ACA would increase the voting rolls is of immediate concern to the Republicans, who have actively engaged in restricting voter registrations across the nation. Typically, the nation’s uninsured poor are predominantly from minority populations — which overwhelmingly vote Democrat. Under NVRA, social services — such as Medicare and Medicaid; Temporary Assistance to Needy Families; the Supplemental Nutrition Assistance Program, which provides funding for food purchases and the Special Supplemental Nutrition Program for Women, Infants and Children — were used to present voter registration information to their recipients, many of whom would not have been exposed to “traditional” NVRA sites, such as DMVs. Section 7 of NVRA mandates that any public assistance office on either the state or federal level that offers disability services, military recruitment offices, and “other offices” — which could include libraries, clerk’s offices, unemployment compensation offices and university facilities — provide voter registration services. The push by Republicans to cut social spending served the secondary function of closing off access to voter registration to the lowest classes. 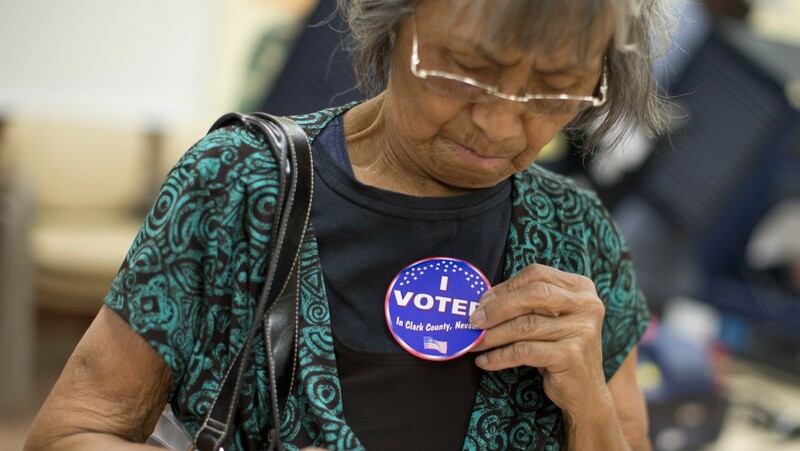 In some states, such as Mississippi, the removal of social services was construed to be a “back-door” method toward voter disenfranchisement that was outside the jurisdiction of the Voting Rights Act. In light of a shifting political climate that reflects a shrinking share of the vote for the Republican Party, opportunities such as ACA voter registration run contrary the party’s long-term interests. However, in serving the best interest of the people, no party should be able to impose its will or desires. As ACA prepares to accept application on October 1, this issue reflects the chaos of a system burdened with flaws, delays and false-starts. The administration, however, must consider how important it is to this law and its role in empowering the people. While it has not been tested in court if the government must actually present a means to register, the idea that the government willingly passed on a chance to register voters serves as an indictment of the administration and the concessions the administration is willing to accept. If the administration is willing to sacrifice voter enfranchisement towards placating the Republicans, what else would it give up?